Today's Green Bargain is brought to you by Twin Sisters! Fraternal Twins Kim Thompson and Karen Hilderbrand have always been close, and have always worked well together. This company was born out of a love for children and seeing the wonderful look of pride on their faces when they have mastered a concept, and have had fun doing it! 48 original teaching songs on 2 Music CDs. 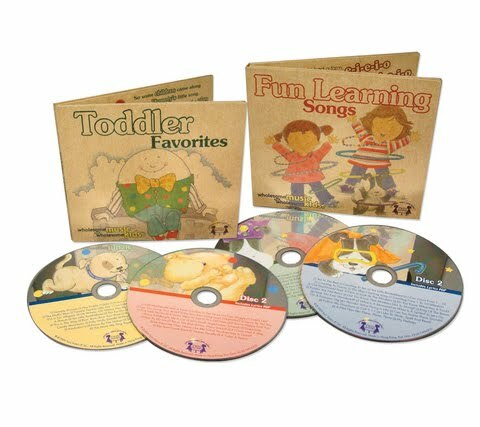 Jumpstart a child’s learning with songs that teach the alphabet, colors, shapes, numbers, counting, days of the week, seasons, animals, and more! 48 new and traditional children’s songs on 2 Music CDs. Adding song time to a toddler’s daily routine nurtures a life-long love of music while developing listening and verbal skills. Each WHOLESOME MUSIC FOR WHOLESOME KIDS® title includes 100% recyclable packaging. We encourage consumers to view the lyrics and print from their computers only what is necessary! Earth Lovers! Set of 4 Activity Books! Teach your child to love the Earth and all its treasures. With reusable game boards and reduce-reuse-recycle activities, these charming activity books help entertain your children and educate them about going green and respecting nature in the process. From Learning Horizons. 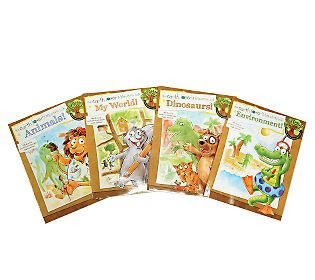 Includes The Earth-Lovers Big Activity Book: Animals!, The Earth-Lovers Big Activity Book: My World!, The Earth-Lovers Big Activity Book: Dinosaurs!, and The Earth-Lovers Big Activity Book: The Environment!